Nothing gives you more flexibility than the Sprinter Cab Chassis. With unobstructed frame rails, it can handle just about any configuration you require. We only partner with top upfit and bodybuilding specialists, so you can be sure that every step of your upfit experience will meet the high-quality standards you've come to expect from Mercedes-Benz. 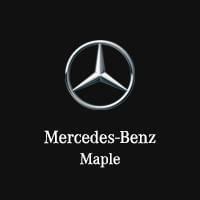 Find a complete list of Mercedes-Benz MasterUpfitters.